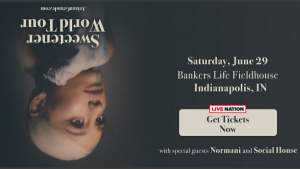 Ariana Grande brings the Sweetener World Tour to Bankers Life Fieldhouse on Saturday, June 29. Special guests are Normani and Social House. Tickets are on sale now.